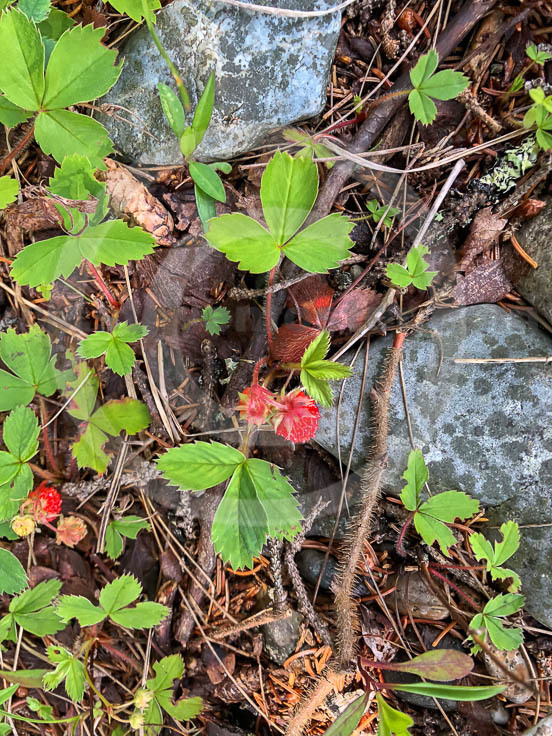 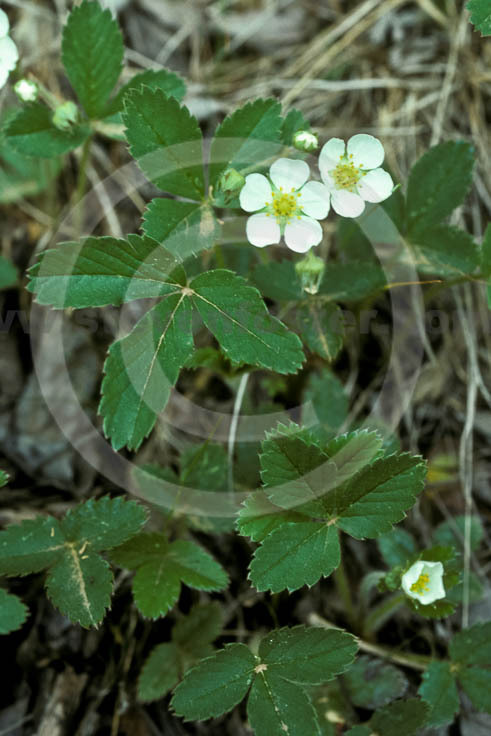 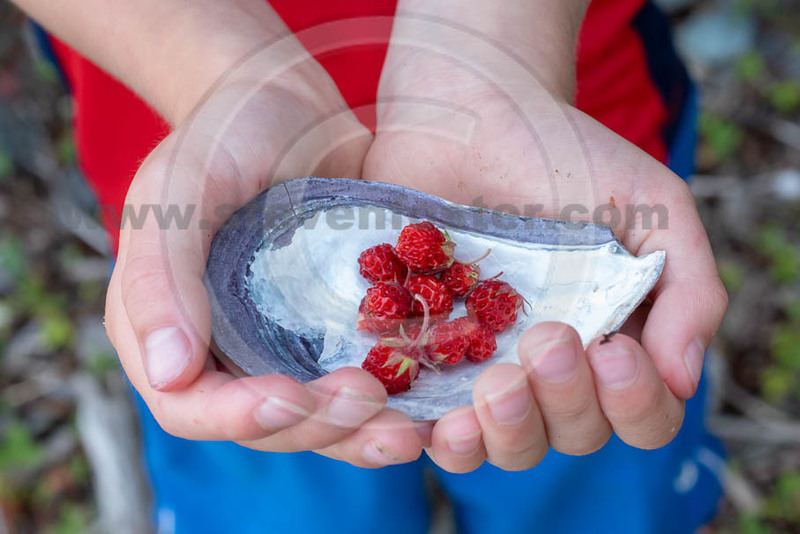 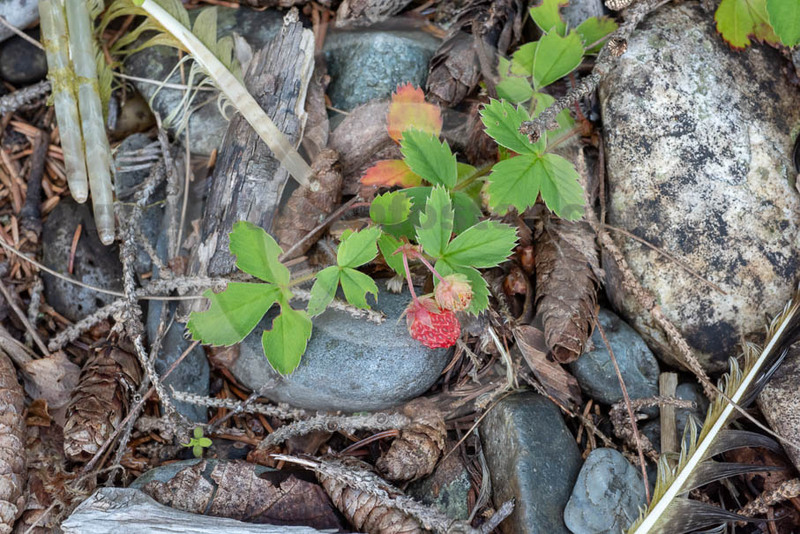 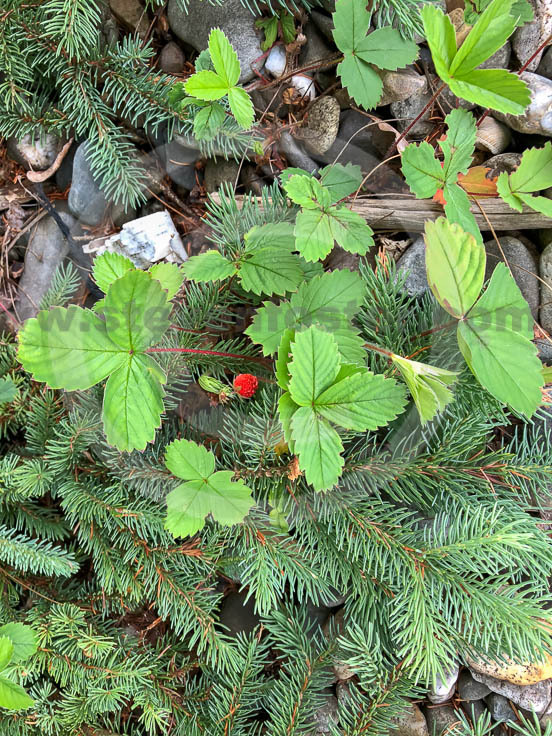 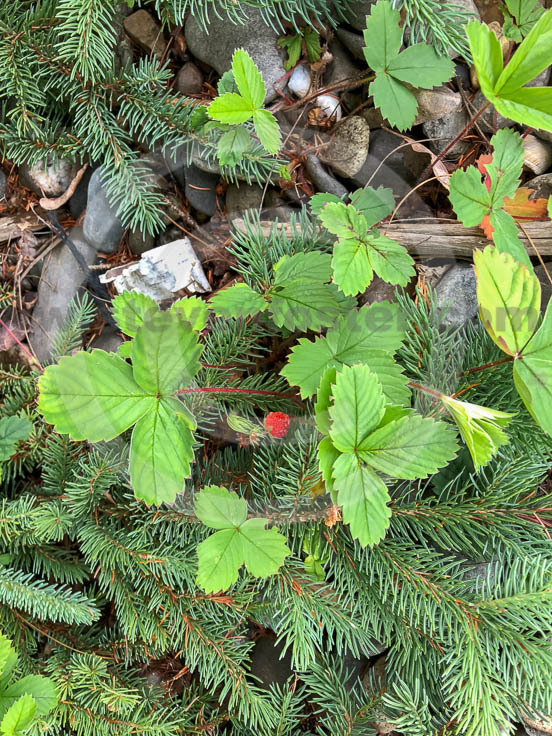 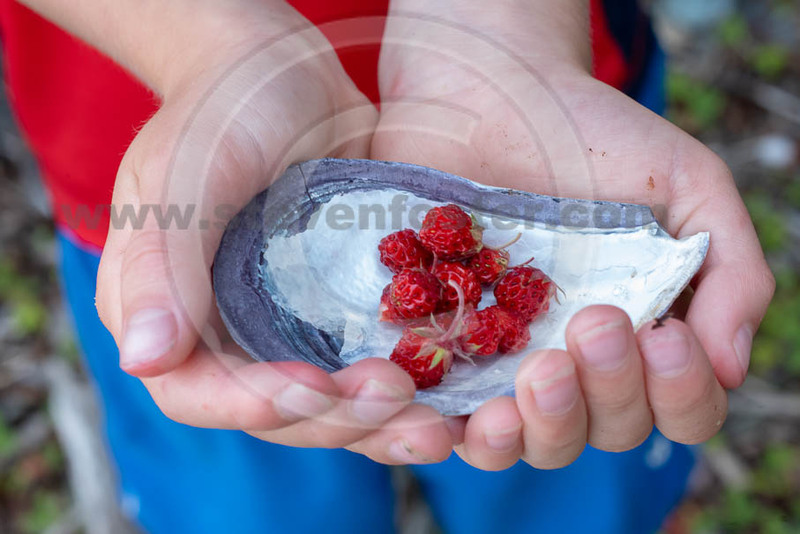 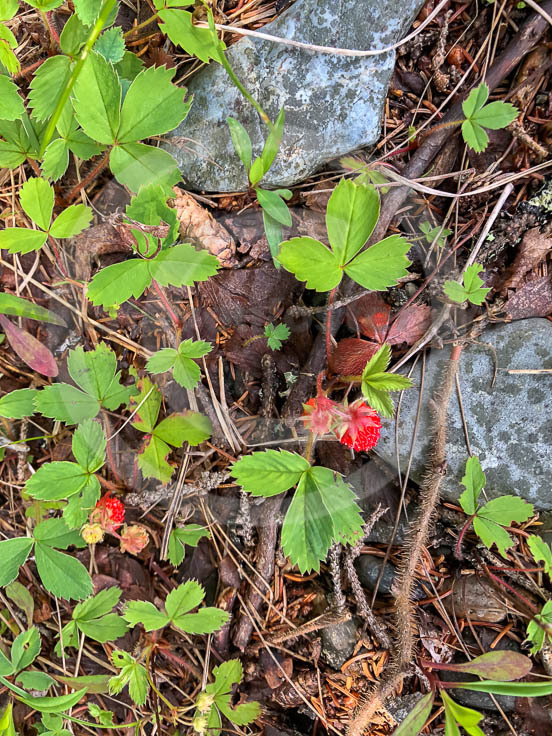 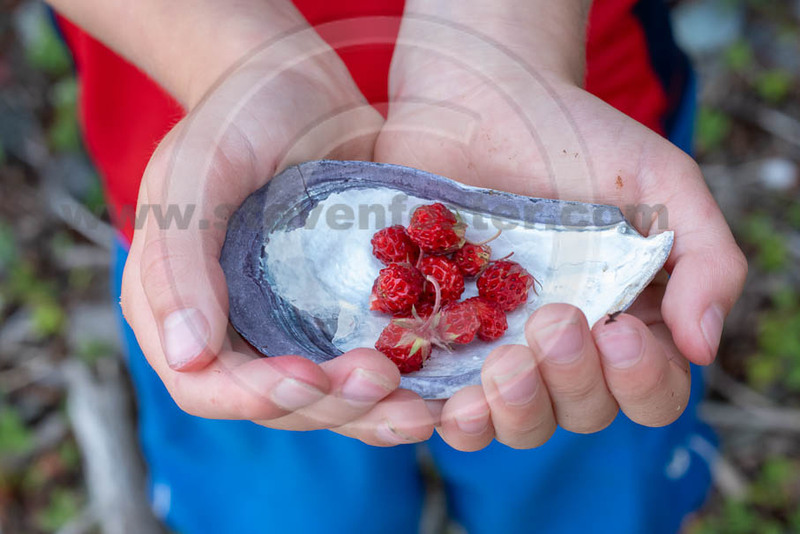 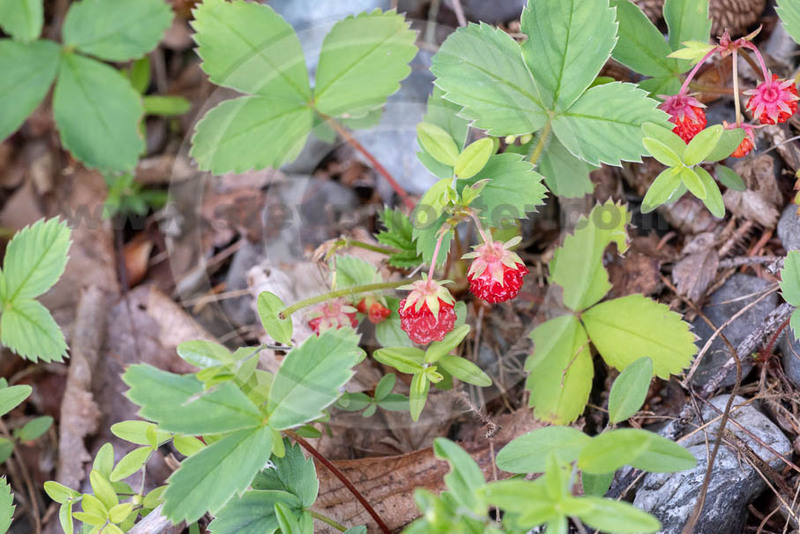 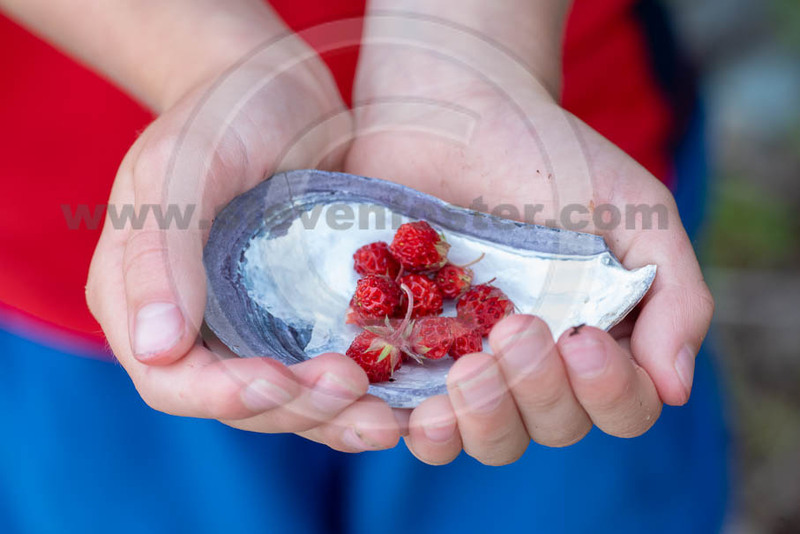 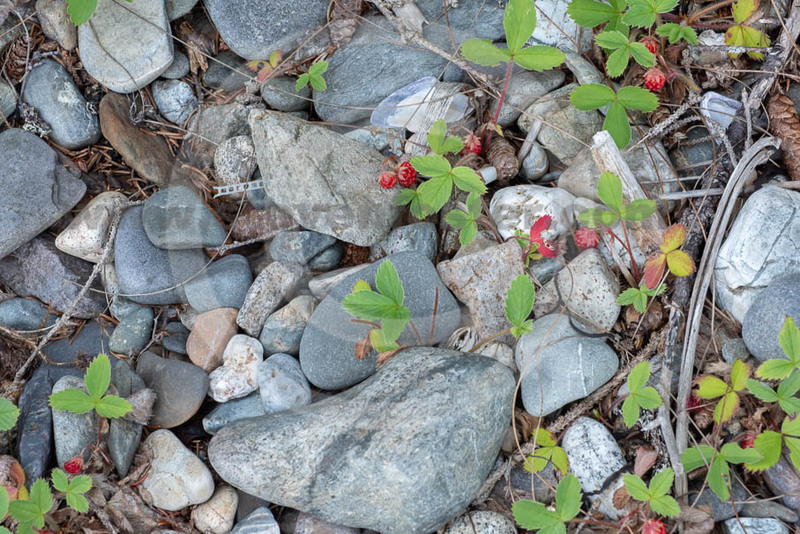 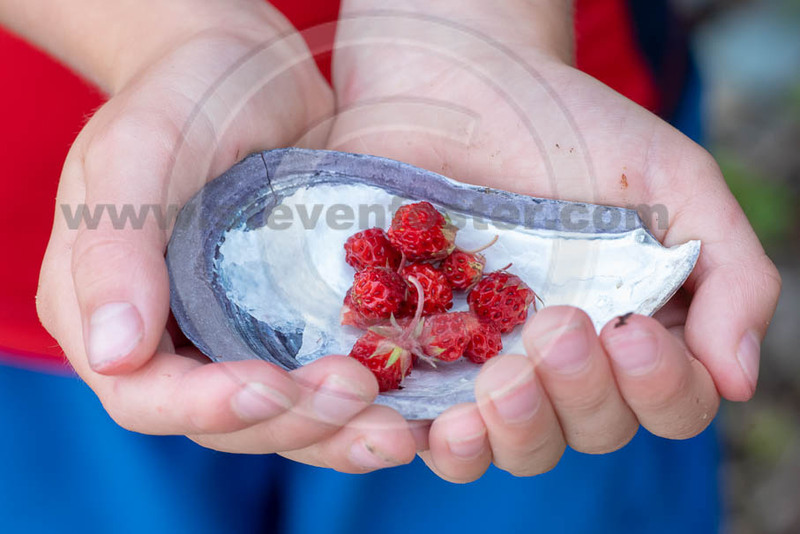 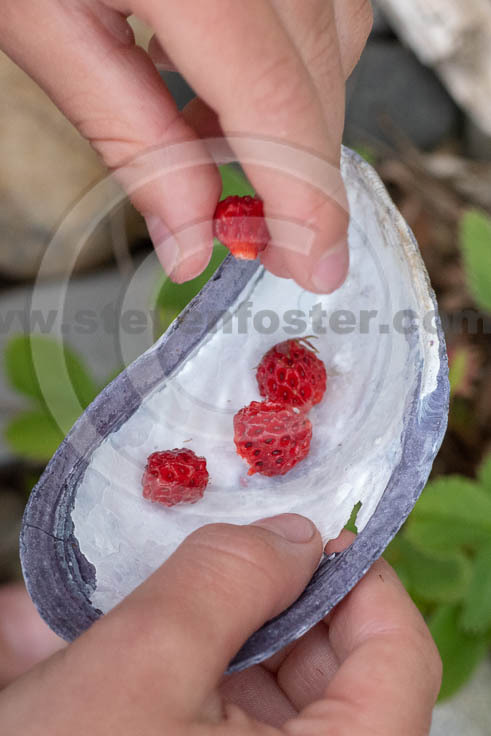 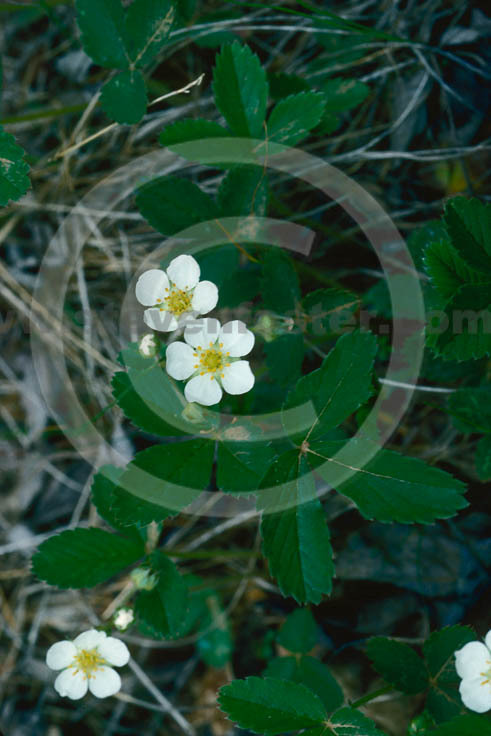 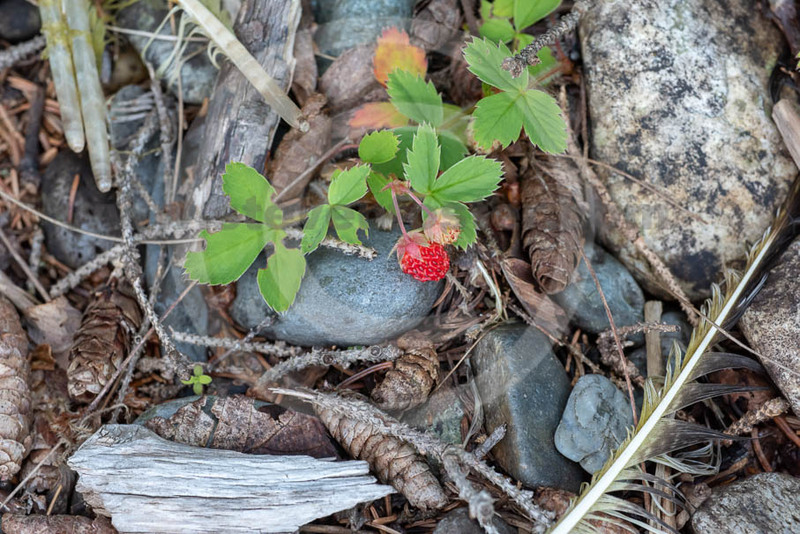 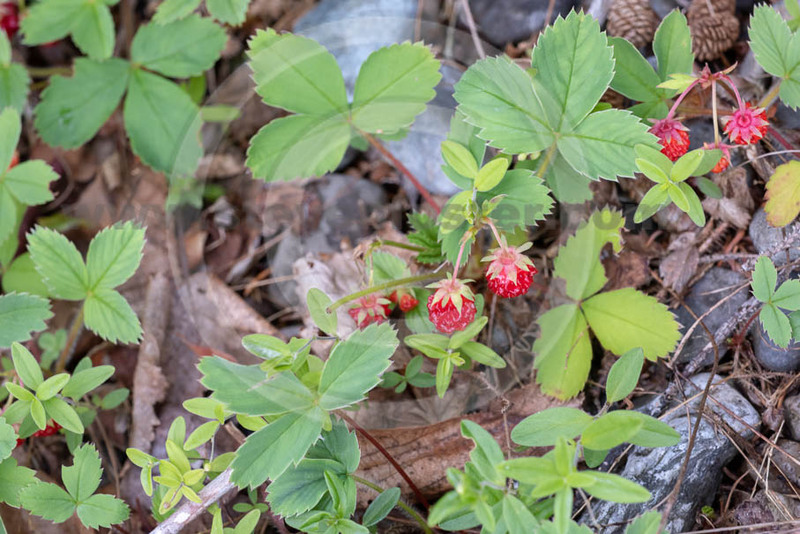 Photos of Fragaria virginiana, Wild Strawberry. 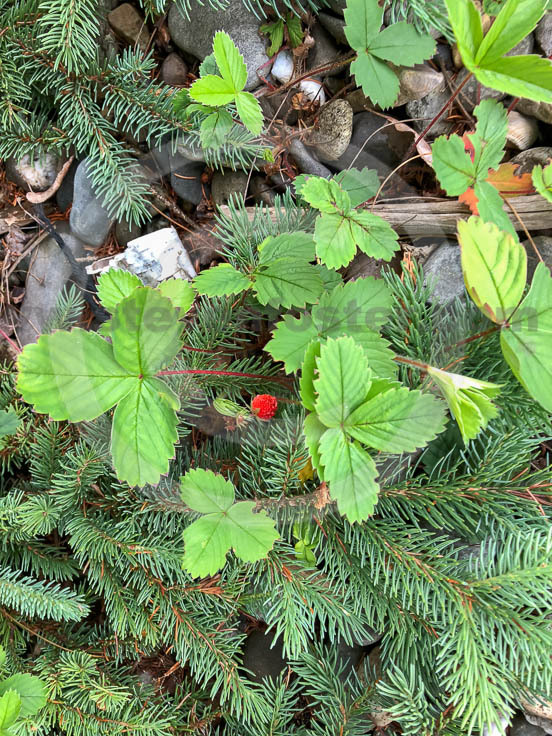 Fragaria virginiana, Wild Strawberry leaflets usually have a tooth at the apex that is shorter and less wide than adjacent teeth and the seeds are imbedded into the surface of the fruit. 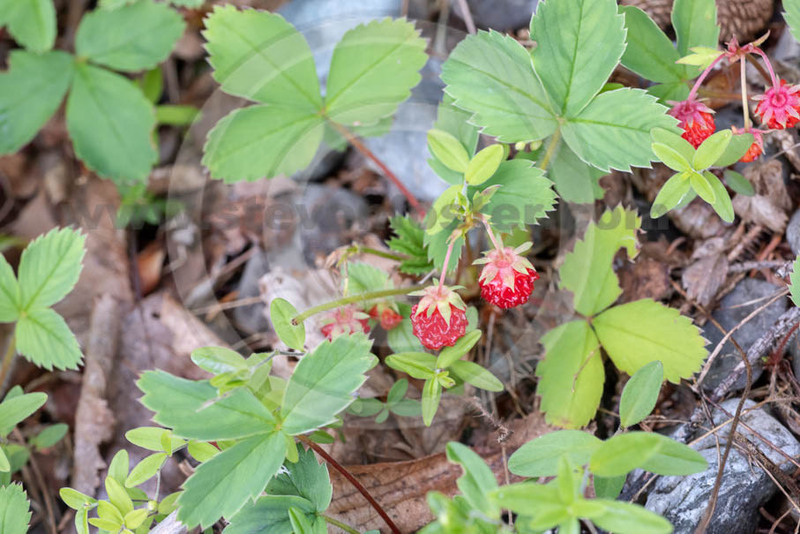 The delicious fruits were traditionally used for the treatment of gout. 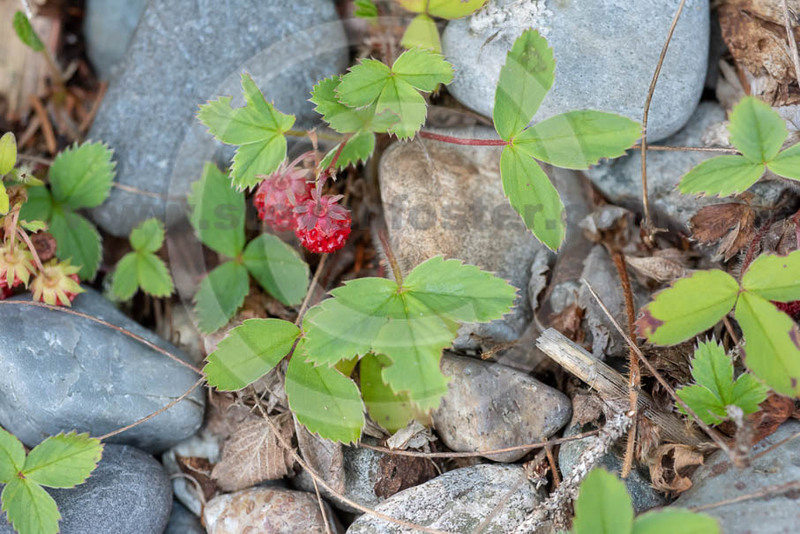 Young leaves are dried and used as a beverage tea. 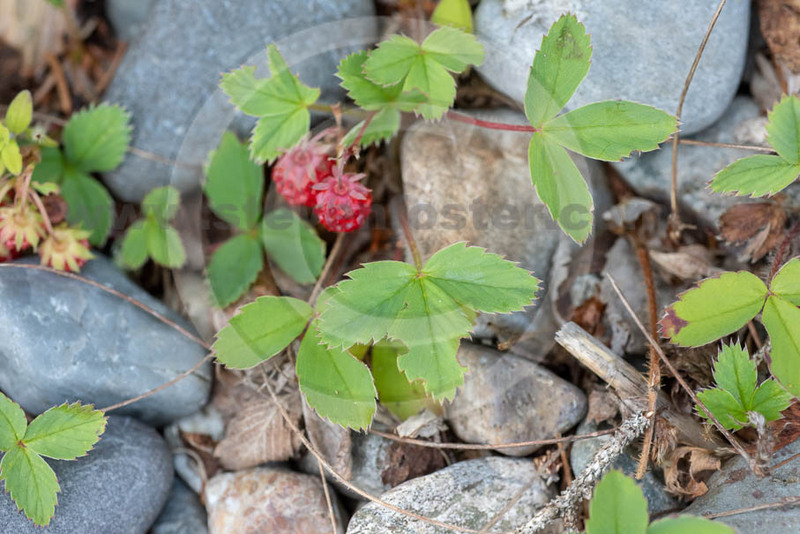 Considered astringent and used for the treatment of diarrhea and dysentery, also considered diuretic and diaphoretic. 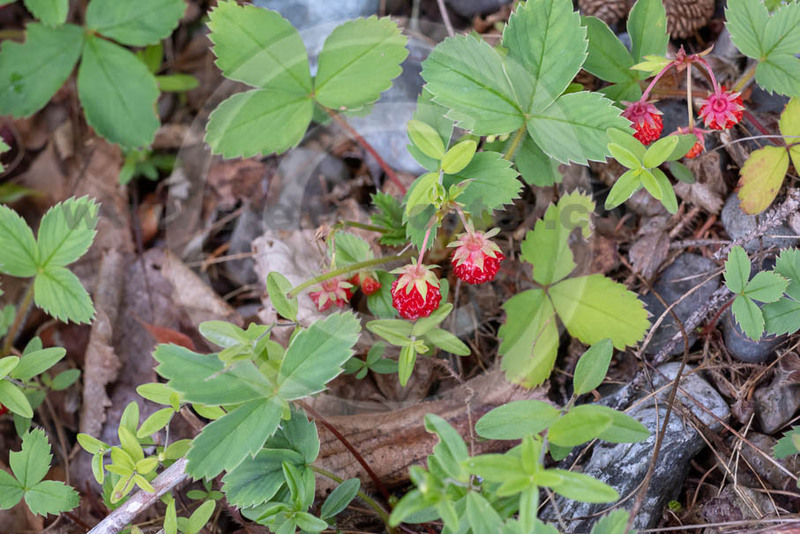 Externally, the tea is a folk remedy for sunburn.